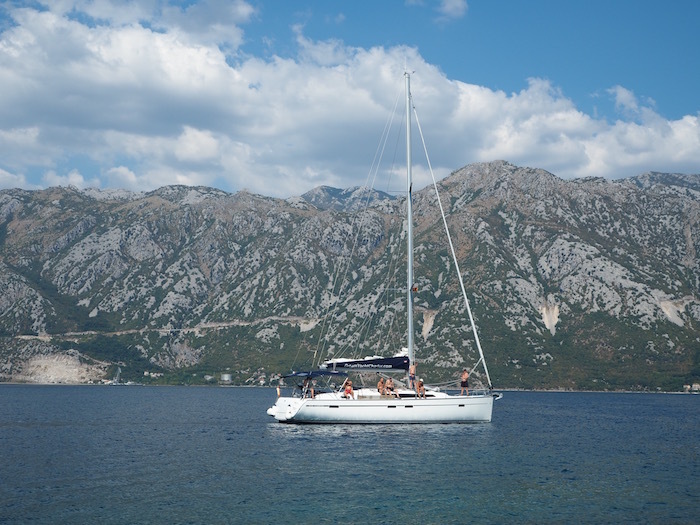 During our recent stay in Dubrovnik, we took a private day tour to the Bay of Kotor in nearby Montenegro. Montenegro is a country just south of Croatia. 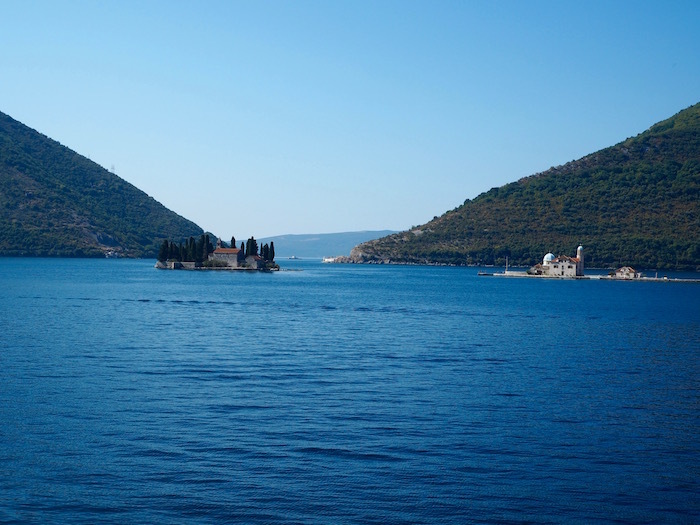 Originally part of the former Yugoslavia, its border is just one hour from Dubrovnik. 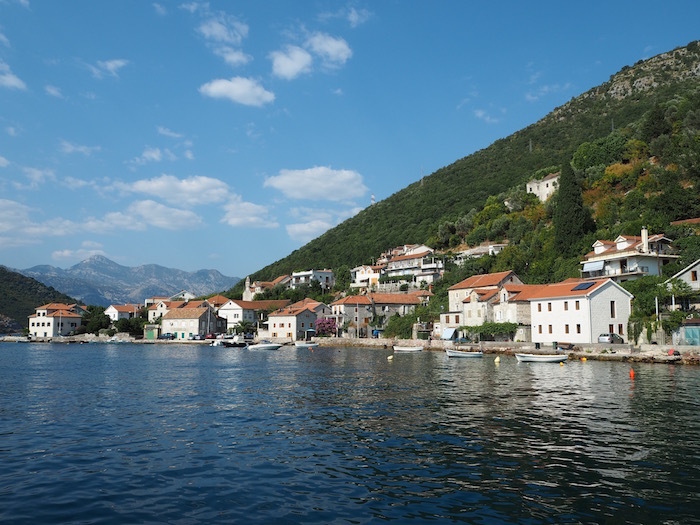 Unlike Croatia Montenegro has been relatively undiscovered by tourists. 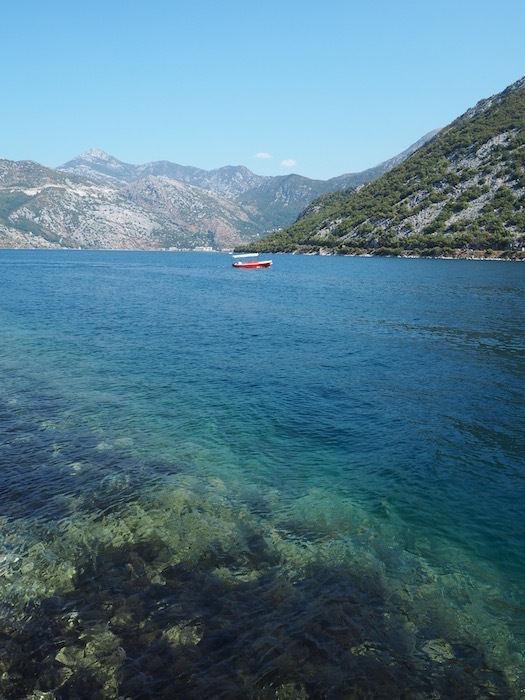 However this has changed in the last few years as the word has got out about Montenegro’s natural beauty. Tourism has picked up, especially amongst the cruise ship operators. 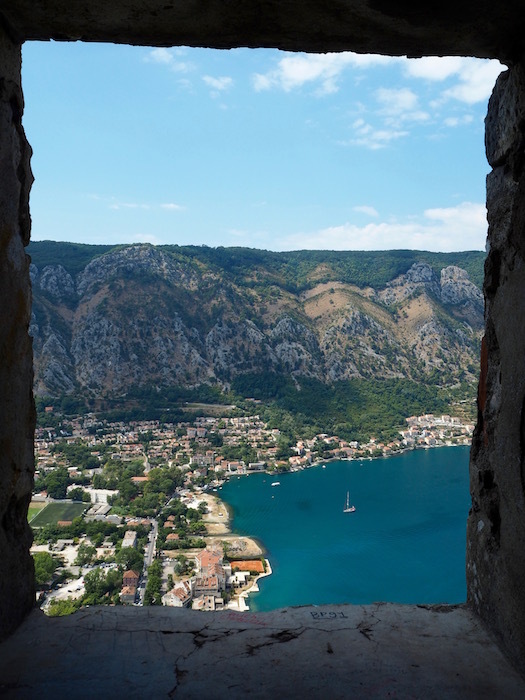 The most visited part of Montenegro is the Bay of Kotor. This heart shaped bay which is also called Europe’s southern-most fjord has some simply breathtaking scenery. Whether you are on the water, driving around the bay or high up in the mountains that rise steeply from the waters edge, you can’t help but be overwhelmed by its beauty. Many small towns dot the shore line and you will be dazzled by the beautiful calm waters of the bay. It is so blue and crystal clear, you will want to jump right in. After an hours drive, we reached the Montenegro border. 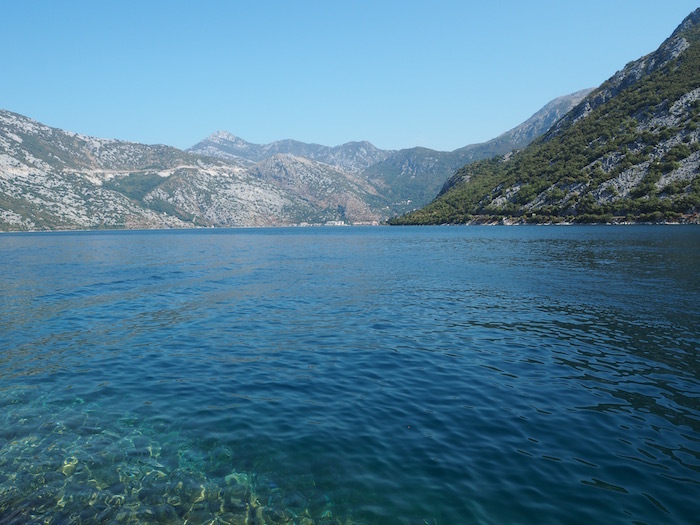 After a quick check and fortunately no queues, we were on our way to the Bay of Kotor. As soon as we got near the bay we knew we had made the right choice coming to Montenegro for the day as we caught our first glimpse of the bay. Our first stop was Risan where we checked out the old Roman villa with Mosaics. It is one of the most important archaeological sites in Montenegro. 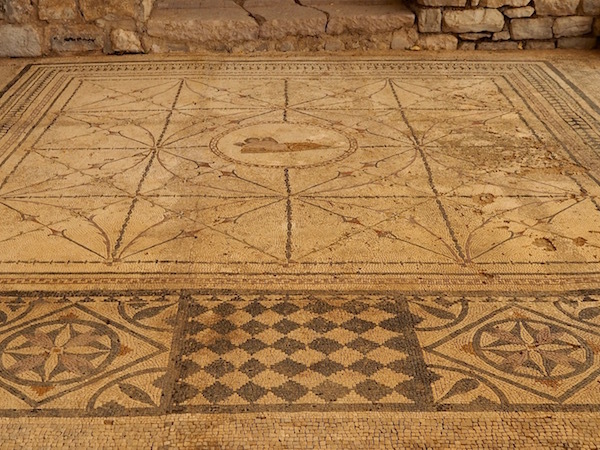 Risan was under Roman occupation from the 1st to the 4th century AD and the villa’s mosaics are well-preserved. They demonstrate different artistic styles, one with a floral pattern and one with a representation of the reclining Hypnos or the god of sleep. If you are interested in archaeology or enjoy looking at Mosaics it’s a great place to stop for half an hour or so. 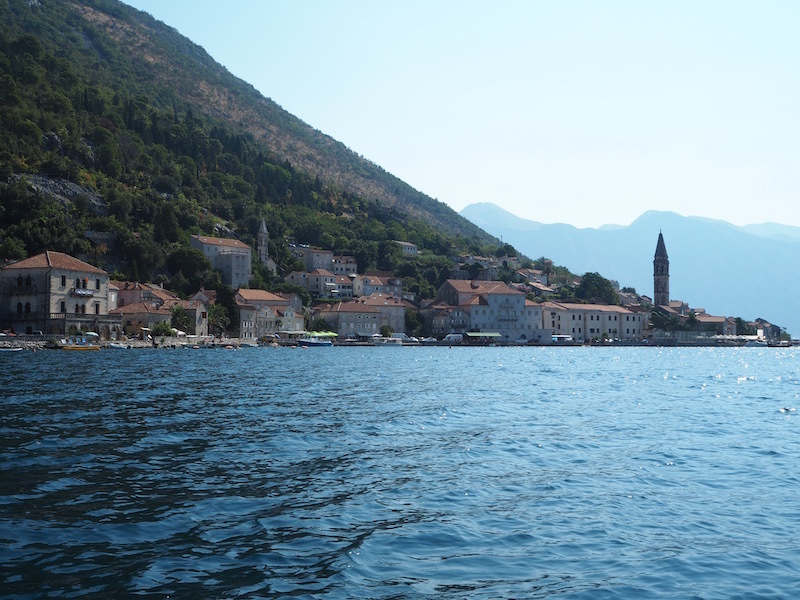 Our second stop was the old town of Perast. 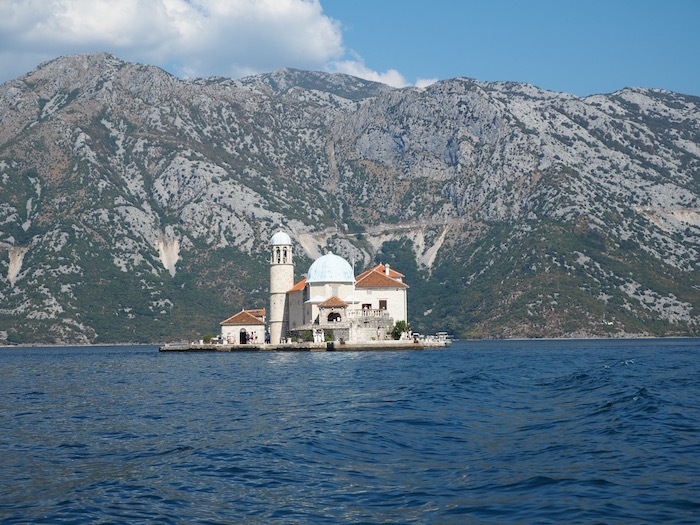 Perast is on the edge of the bay and is famous for the two islets located off its coast, Sveti Đorđe (St. George) and the Gospa od Škrpjela (Our Lady of the Rocks). Both islets have a small chapel on them but you can only visit Our Lady of the Rocks. 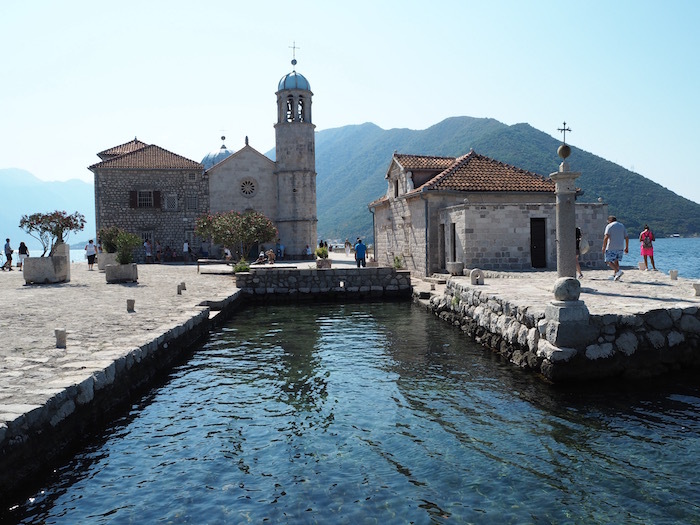 This is an artificial island that was built upon some rocks after two Venetian sailors from Perast found a picture of the Virgin Mary there in 1942. 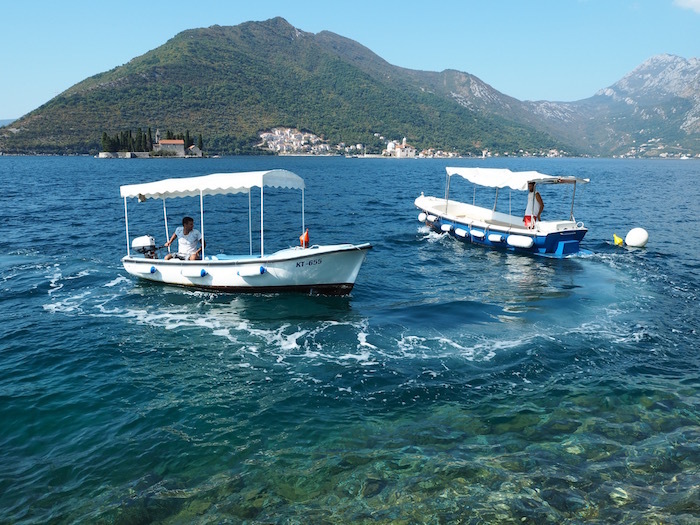 From Perast, you can hire a taxi boat (five euros per person), for a very scenic boat ride to the small island. The driver will pick you up at an arranged time. The island is quite small but very picturesque. There are spectacular panoramic views of the surrounding landscape. You can also visit the Roman Catholic Church of the Lady of the Rocks which sits in the middle of the island. The church also contains a small museum but the real attraction of the island is the incredible view of the bay and the surrounding mountains. It is breathtaking. 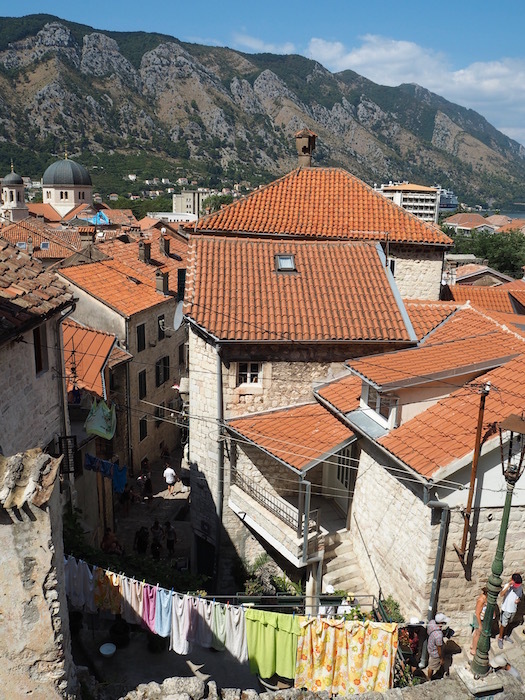 Our third and final stop was the medieval town of Kotor. 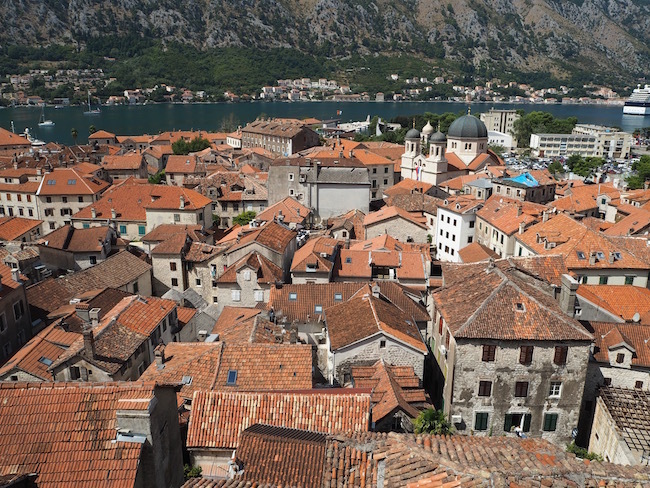 Kotor is the most popular town along the Bay of Kotor. 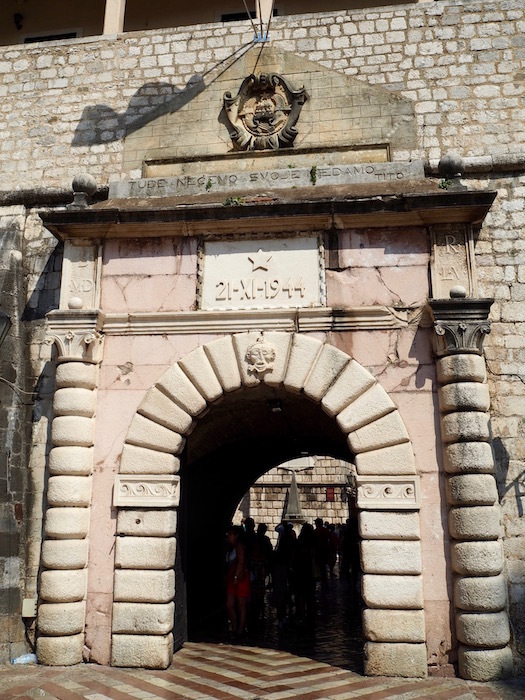 Its old town is surrounded by fortified city walls which were built by the Venetians to protect the town from invaders. 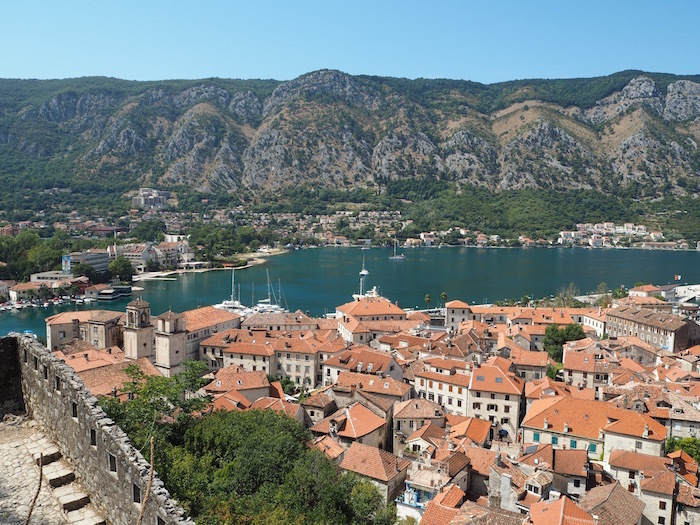 Kotor’s old town, its fortifications and its beautiful surroundings have all been listed as a UNESCO World Heritage Sites since 1979. The city walls are a mix of ramparts, fortresses, churches and gates. The construction started in the 9th century and lasted until the 15th century. The walls form a 4.5 kilometre loop up into the hillside. 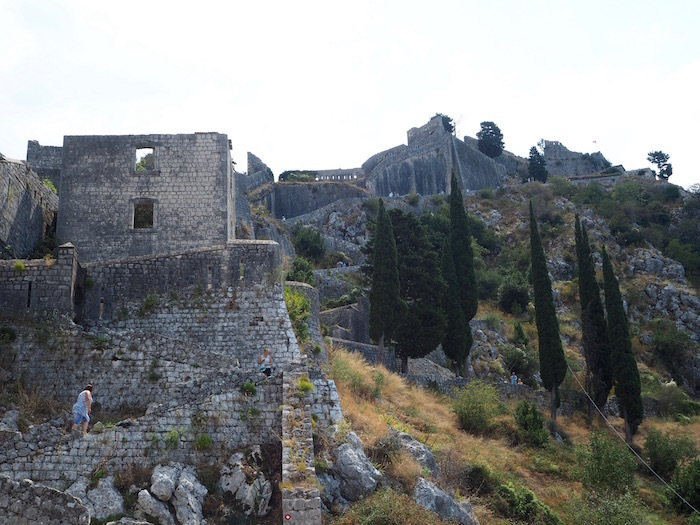 One of the highlights of visiting Kotor is to climb those city walls all the way up to St. John’s fortress. In the summer months, there is a fee of three euros for the climb. If you go during off-season you can climb for free! Arriving in Kotor at 11.30am on a hot summer day, we ended up doing the hike in the heat. 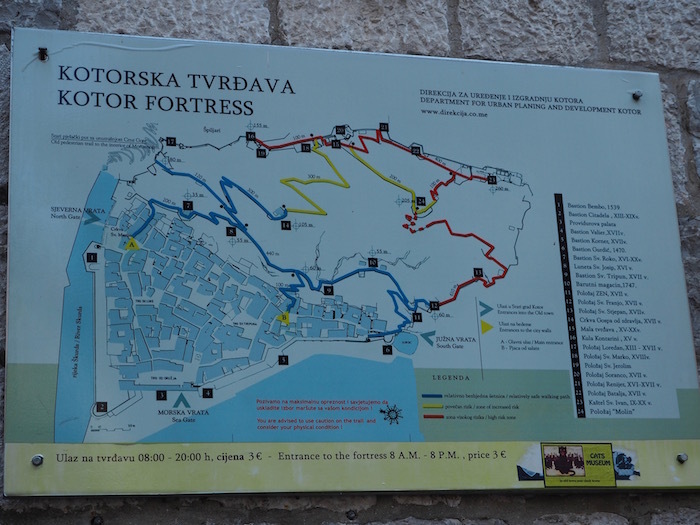 There are 1355 steps to the fortress with an altitude above sea level of around 260 meters. The hike itself wouldn’t have been so bad had we started first thing in the morning but the heat made it unpleasant. Surprisingly enough it was also quite busy. Apparently, there are other crazy people like us that enjoy climbing in the heat! However the view from the top was incredible and totally worth the effort and the sweat we lost getting there. 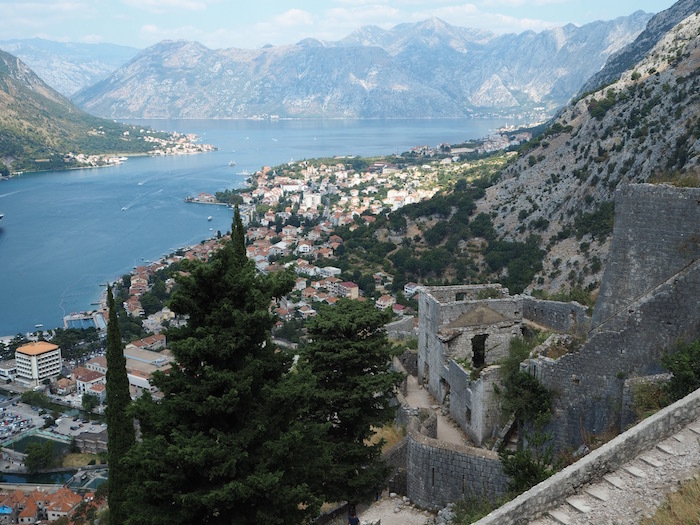 Reaching the top of the fortress, we had an amazing view of the surrounding mountains and the Bay of Kotor. The massive cruise ship docked in the bay looked so small. More views from the hike! Beautiful views on the hike! The hike took us just under two hours with a stop at the top and many photo stops along the way. We were glad to get back down as we were in a real need of a fresh drink! 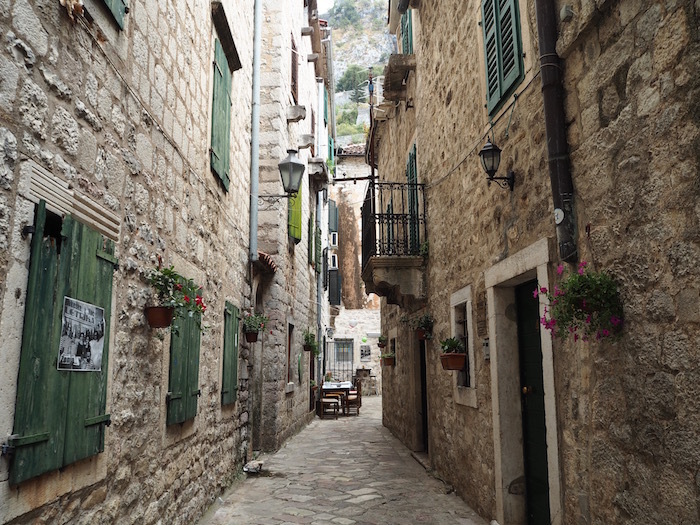 We spent the next hour and a half having lunch and getting lost in the streets of Kotor’s old town. 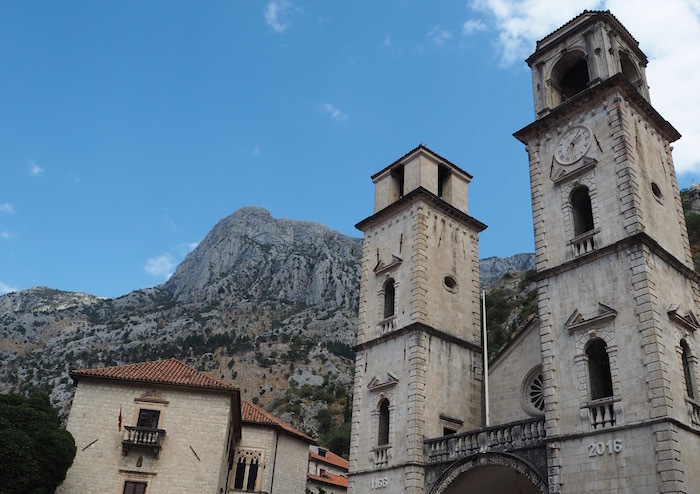 With many churches, piazzas and cute little alleyways, Kotor is such an interesting little town. Its the kind of place I wish we could have stayed in for a few nights just to hang around and soak up the atmosphere. 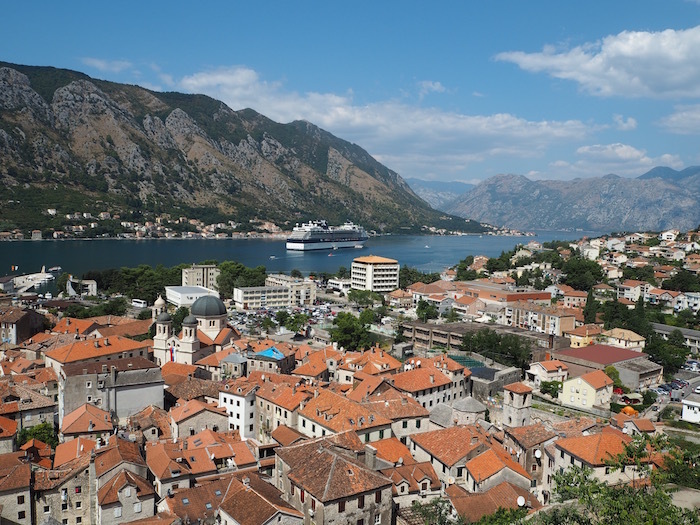 Kotor is very touristy during the day but I am sure it would have been great to spend the night there to experience it once all the cruise ship passengers had gone. 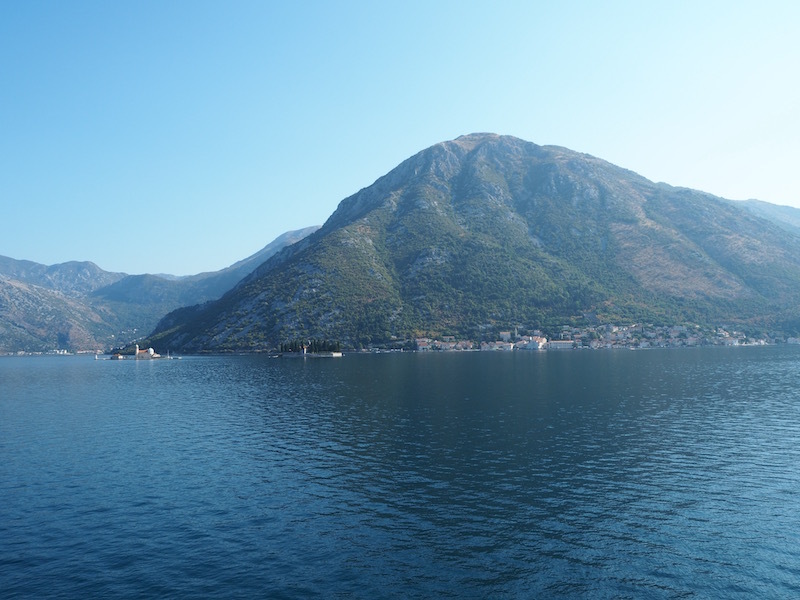 After exploring Kotor, we sadly had to leave and make our way back to Croatia. Instead of driving all the way back around the bay, we caught a ferry from Lepetane to Kamenari. Waiting for the ferry was definitely an interesting experience. There were cars everywhere waiting to drive onto the ferry, no real queues and no real organisation; it was each to their own! However once on the ferry the trip to the other side was quite quick taking only around 15 minutes. We drove off and made our way back across the border and on onwards to Dubrovnik. As we drove back we paid more attention to Montenegro’s architecture having spent the morning focusing on the beauty of the bay. Montenegro still shows many signs of communism, such as its abandoned formerly state-run hotels. However it is also getting quite a lot of redevelopment with new hotels and apartment blocks being built. 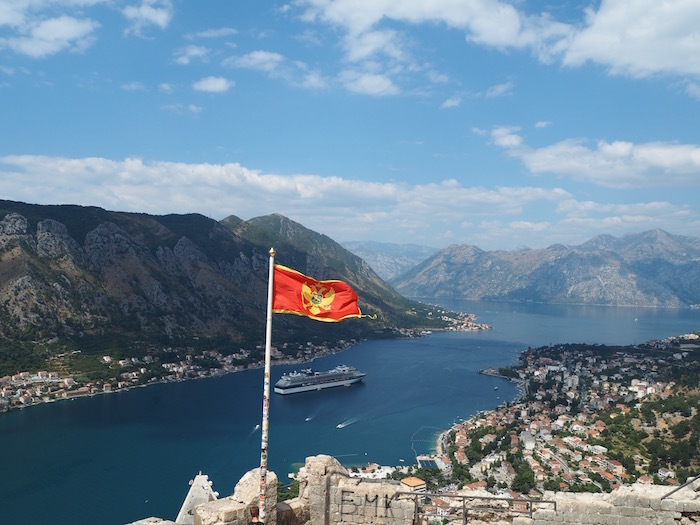 So should you go to Montenegro? 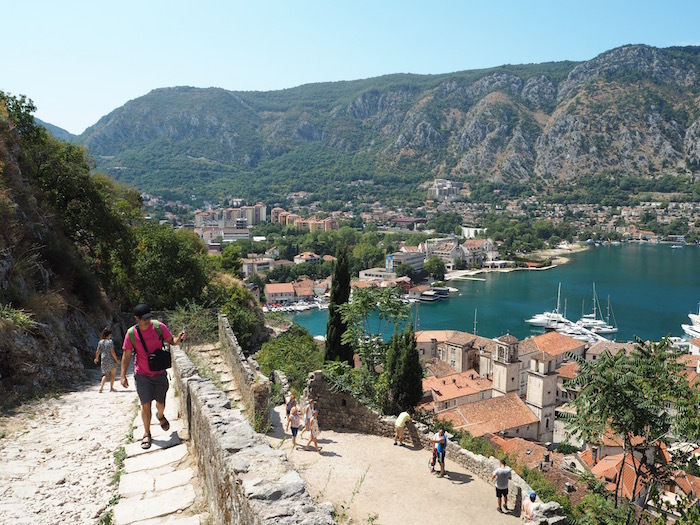 To be honest, Montenegro was never on our travel list until we booked Croatia and read about day trips there from Dubrovnik. 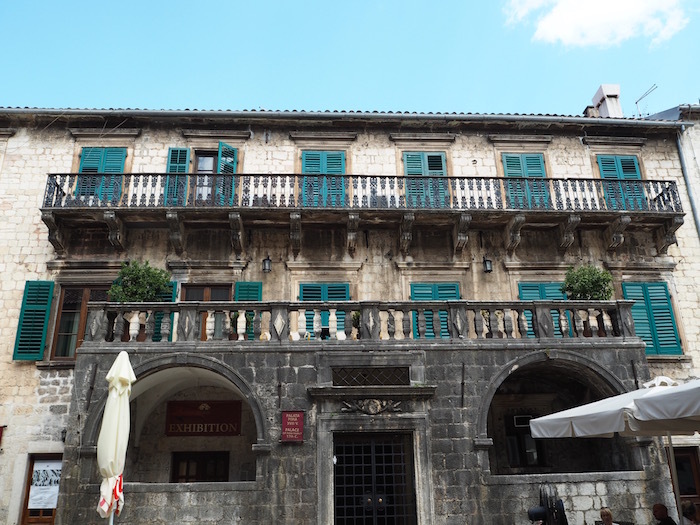 When we saw all the amazing photos of the Bay of Kotor and read about its beauty on the blogs of fellow travellers, we knew that we should give it a chance. And aren’t we are glad we did! 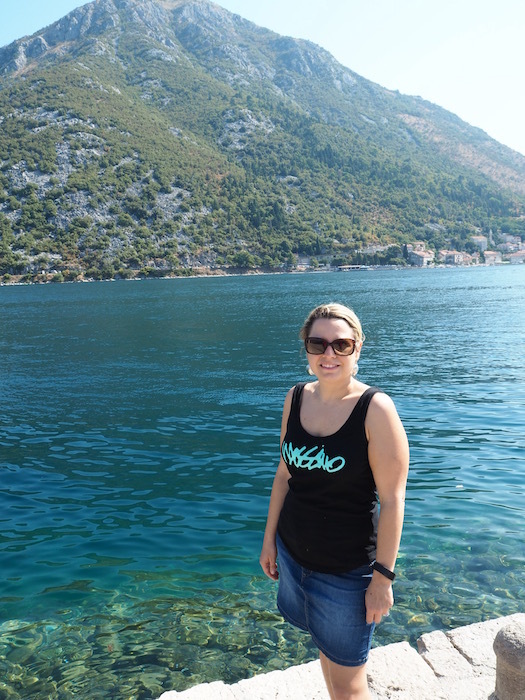 We had such a great day in the Bay of Kotor and Montenegro is definitely a place we would love to go back to. 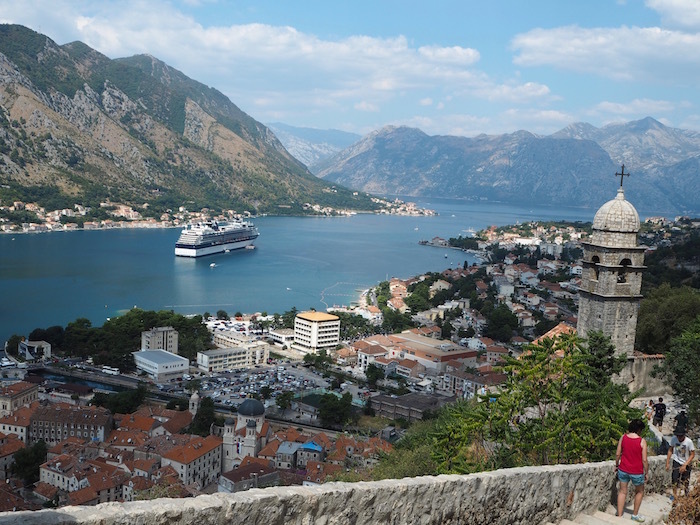 Have you been to Montenegro? If so let us know of other places there to check when we head back there eventually. If you liked this post, don’t forget to share it with your friends. That looks amazing ! I love those small south European cities! It never was on my list as well but I am sure I will check it out one day when I make my way to Croatia ! Thanks Adrianna. You should definitely add it to the list. I am sure you would love it! Montenegro looks beautiful! It’s high on my honeymoon wish list. 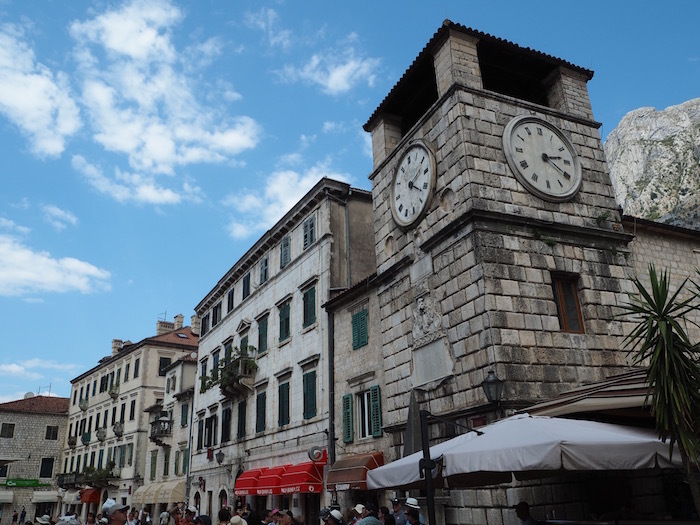 I love those old town streets, the beautiful water views, the relative quiet when compared with nearby Croatia. Looks like you had a lovely time there. Hi Beth, We did have the best time in Montenegro and we really want to get back there one day. It’s a beautiful place and the water is so incredibly clear. Perfect for a honeymoon! 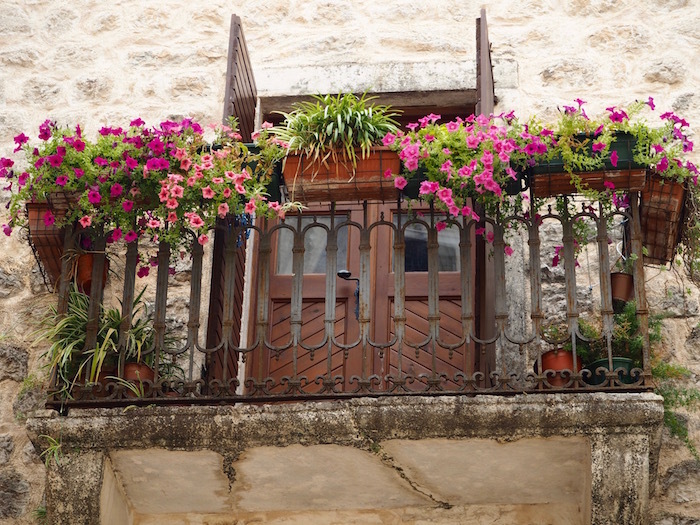 The Old Town of Kotor is definitely a do not miss. Have fun on your honeymoon! I only recently heard of Kotor as my friend visited and showed me some beautiful pictures! I will probably this destination to my travel-to-do-list!